Source: Mitsubishi Hitachi Power Systems, Ltd.
HYOGO, Japan — PanaHome Corporation, ENERES Co., Ltd, IBJ Leasing Co., Ltd. and the Public Enterprises Agency of the Hyogo Prefectural Government plan to embark on the urban development of a microgrid system (a regional energy distribution management system) (*1) starting October 2017. Tokyo, December 3, 2014 — Hitachi, Ltd. (President & COO: Toshiaki Higashihara), Mizuho Bank, Ltd. (President & CEO: Nobuhide Hayashi), Mizuho Information & Research Institute, Inc. (President & CEO: Junichi Nishizawa), and THE Power Grid Solution Ltd. (President and Representative Director: Kiyonori Morita) today announced that they have been selected to carry out a feasibility study for a smart community demonstration project in the Republic of Slovenia being run by the New Energy and Industrial Technology Development Organization (NEDO) as part of its international project for technologies and systems related to energy consumption efficiency. Fujisawa, Japan – The Fujisawa SST Council, a consortium led by Panasonic Corporation spearheading the development of the Fujisawa Sustainable Smart Town (Fujisawa SST), held today a grand opening ceremony for the forward-looking town located on the outskirts of Tokyo. With its core facility supporting sustainable development of the town and its community now coming into operation, the Fujisawa SST is moving from the construction stage into a new stage where the town is nurtured to grow in full-scale into an eco and smart town that puts a high priority on the residents’ lifestyles. Mitsubishi Hitachi Power Systems has received order concentrating solar power system from Japanese Gov. Yokohama, September 26, 2014 — Babcock-Hitachi K.K. (BHK), a group company of Mitsubishi Hitachi Power Systems, Ltd. (MHPS), has been contracted by Ministry of the Environment to develop the technology for a concentrating solar power (CSP) system as one of its 2014 projects to develop and verify technologies for enhancing measures to reduce carbon dioxide (CO2) emissions. The contract calls for BHK to develop a low-cost, highly operational solar power generation system. MHPS will also participate, and after the two companies integrate effective October 1, MHPS will carry on the contracted work in full. The New Energy and Industrial Technology Development Organization (NEDO) will launch a demonstration project that will introduce about 1,000 energy efficient inverter air conditioners (ACs) and energy management systems to achieve energy efficiency for two hospitals in Vietnam, one in Hanoi and the other in Ho Chi Minh City. 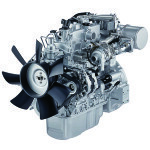 Depending on which off-highway engine manufacturer you’re talking to, it is either an advantage that its teams of engineers design specifically and solely for the off-highway industry, or it is an advantage that its teams of engineers design for both the on- and off-highway industries. Tsubasa, an environment-friendly tugboat owned by Wing Maritime Service Corporation (head office: Yokohama; president: Toshinori Yamashita), an NYK Group company, has been bestowed the 2013 Marine Engineering of the Year award by the Japan Institute of Marine Engineering. NYK will build a tugboat 1 featuring a dual fuel engine 2 that can be powered by either liquefied natural gas (LNG) or heavy oil. Other than LNG carriers, this tugboat will be the first building in Japan of an LNG-fueled vessel. Tokyo, Japan — August 4, 2014 – Sony Corporation (“Sony“) today announced that from the beginning of October 2014, it will commence selling its flame-retardant recycled plastic, SORPLAS™ (Sustainable Oriented Recycled Plastic) outside the Sony Group, and will offer this product to a wide variety of manufacturing business operators such as consumer electronics retailers, both within Japan and abroad. 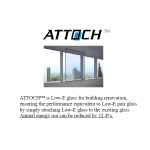 Source: Asahi Glass Co., Ltd.
Tokyo, July 10, 2014—AGC (Asahi Glass Co., Ltd.; Head Office: Tokyo; President & CEO: Kazuhiko Ishimura) announces that it will enable avoidance of as much as six times the AGC Group’s own annual CO2 emissions in 2020, through its energy-saving and energy-creating products.